It does not function as expected in the Sites@Duke environment. It has not been updated by the creator within the last two years. Very few Sites@Duke users have chosen to use it. Admin users of affected sites have been notified via email, and a reminder email will be sent later this week. Where possible, we have suggested alternative plugins with similar functions. Please switch to the new plugins before July 25, 2016, to avoid functionality issues. To confirm whether your sites are using one of these plugins, please log into your site, go to Plugins in the left-hand black sidebar, and click Active to see your list of active plugins. To test how your site will function or display without a particular plugin, please go to Plugins in the left-hand black sidebar and click the Deactivate link beneath the plugin name. The following themes were removed from the Sites@Duke system on October 14, 2015, in accordance with Sites@Duke policies. These themes were selected because they are retired, unsupported, outdated, broken, or little-used. Sites that were using these themes have been defaulted to the Twenty Fifteen theme. The following plugins were removed from the Sites@Duke system on October 14, 2015, in accordance with Sites@Duke policies. These plugins were selected because they are unsupported, broken, or little-used. A large number of WordPress themes and plugins will be removed during the mid-October 2015 maintenance window. All site admins should review the following details, and contact the OIT Service Desk with any questions. Faculty may contact the Center for Instructional Technology for questions regarding using WordPress in teaching. The following themes will be removed from the Sites@Duke system over Fall Break, in accordance with Sites@Duke policies. These themes were selected because they are retired, unsupported, outdated, broken, or little-used. All site admins should confirm whether their sites are using one of these themes. You can do this by logging into your site, going to Appearance > Themes in the left-hand black sidebar, and seeing which theme is labeled as “Active” in the top left corner. If your site’s active theme is on the list above, you will need to switch to another theme that is NOT on this list before October 10, 2015. Instructions on how to change themes are available on sites.duke.edu. Any sites that have not switched to a new theme at that time will be changed to the Twenty Thirteen default theme. If your site does not use one of these themes, you do not need to take any action at this time. The following plugins will be removed from the Sites@Duke system over Fall Break, in accordance with Sites@Duke policies. These plugins were selected because they are unsupported, outdated, broken, little-used, or redundant. In cases where retired plugins are actively used by Duke WordPress users, we have suggested alternative plugins with similar functions. Please switch to the new plugins before October 10, 2015 to avoid functionality issues. All site admins should confirm whether their sites are using one of these plugins. You can do this by logging into your site, going to Plugins in the left-hand black sidebar, and clicking Active to see your list of active plugins. The Sites@Duke system maintenance was successfully completed on Saturday, July 18. Thanks for your patience as we performed this important maintenance, and please submit your suggestions for future improvements through our Feature Request Form: https://sites.duke.edu/feature-request-form. Any feature suggestions received by September 1, 2015, will be considered for our next maintenance window in October 2015. Sites@Duke Maintenance: Saturday, July 18, 2 to 9 a.m.
OIT will be upgrading the Sites@Duke system on Saturday, July 18, between 2 and 9 a.m. During this time, sites may be unavailable. For technical support questions about Sites@Duke or the upcoming upgrade, please contact the OIT Service Desk at 919-684-2200. On behalf of the Duke WordPress team, thank you for your patience as we perform this important maintenance. Posted in News | Comments Off on Sites@Duke Maintenance: Saturday, July 18, 2 to 9 a.m. The Sites@Duke system was successfully upgraded to version 4.1.1 on Saturday, March 7. In order to replace some functionality from Unfiltered MU and Panopto Embed, we are adding the Duke Media Embed plugin. Visit Settings -> Duke Media Embed on your site for instructions on how to use this new plugin. If you were using one of these themes and did not switch to another theme before March 7, your site was changed to the Twenty Thirteen theme. Thanks for your patience as we performed this important maintenance, and please submit your suggestions for future improvements through our Feature Request Form: https://sites.duke.edu/feature-request-form. Any feature suggestions received by May 30, 2015, will be considered for our next maintenance window in July 2015. Sites@Duke Maintenance: Saturday, March 7, 6 to 9 a.m.
OIT will be upgrading the Sites@Duke system to version 4.1 on Saturday, March 7th between 6 and 9 a.m. During this time, sites may be unavailable. Plugins: Artiss Plugins List, Cron GUI, Link Manager, Panopto Embed, Unfiltered MU, and WP Jquery Timelinr. In order to replace some functionality from Unfiltered MU and Panopto Embed, we are adding the Duke Media Embed plugin. Visit Settings -> Duke Media Embed on your site on March 7 or later for instructions on how to use this new plugin. Themes: Constructor, Light, LightWord, MNML, monochrome, News, Titan, and Writer’s Blog. If you are using one of these themes and do not switch to another one before March 7, your site will default to the Twenty Thirteen theme. Posted in News | Comments Off on Sites@Duke Maintenance: Saturday, March 7, 6 to 9 a.m. 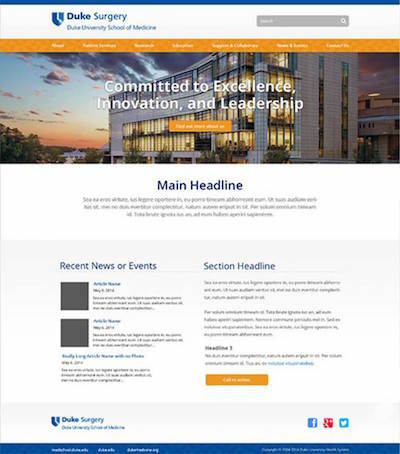 The Sites@Duke system was successfully upgraded to version 4.0.1 on Saturday, December 20. Please note that the Flickrpress plugin was removed at this time. Users were advised to switch to either the Slickr Flickr or Flickr Photostream plugins. Thanks for your patience as we performed this important maintenance, and please submit your suggestions for future improvements through our Feature Request Form: https://sites.duke.edu/feature-request-form. Any feature suggestions received by February 1, 2015, will be considered for our next maintenance window in March 2015. Sites@Duke Maintenance: Saturday, December 20, 6 to 9 a.m.
OIT will be upgrading the Sites@Duke system to version 4.0.1 on Saturday, December 20th between 6 and 9am. During this time, sites may be unavailable. For technical support questions about Sites@Duke, the upcoming upgrade, or further assistance in switching Flickr plugins, please contact the OIT Service Desk at 919-684-2400. Posted in News | Comments Off on Sites@Duke Maintenance: Saturday, December 20, 6 to 9 a.m.